You’ve heard of Botox before – but have you heard of “Brotox”? Brotox refers to Botox injections for men; in fact, there has been a significant increase in male patients seeking out anti-aging injections. It’s believed that older men are turning to Botox injections in an effort to appear younger and more well rested in both their professional and personal lives. Botox’s active ingredient onabotulinumtoxinA , that blocks nerve signals to the muscles in the treatment area. As a result, the muscle becomes “relaxed,” making it difficult to contract. The overlying skin becomes smooth, leading to diminished wrinkles and fine lines. Botox injections are most common in the forehead or crow’s feet regions. Most injections take just a few minutes to administer, with very few side effects. 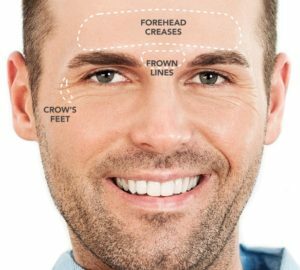 There’s no downtime associated with Botox injections, making this a great treatment for men with busy schedules. 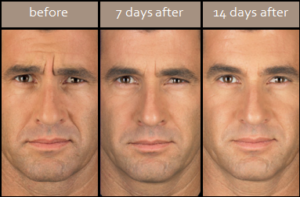 Botox treatment is perfect for men seeking a more subtle, natural-looking appearance.